This 4 - 5 person emergency storm shelter is a larger version of our "Best Buy" award winning 2-3 person emergency shelter. It is used to provide some protection from the wind and rain when you are in the outdoors, without a tent, and have to take shelter when you might not have planned to. 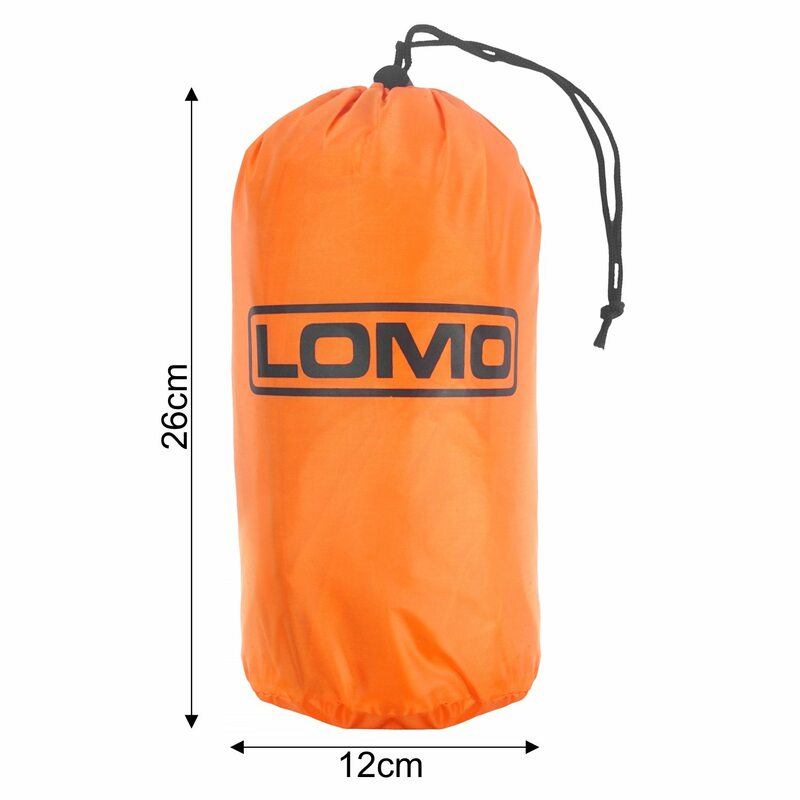 It's lightweight, easy to carry and can be pulled over 4-5 people to help keep the elements off them in an emergency. 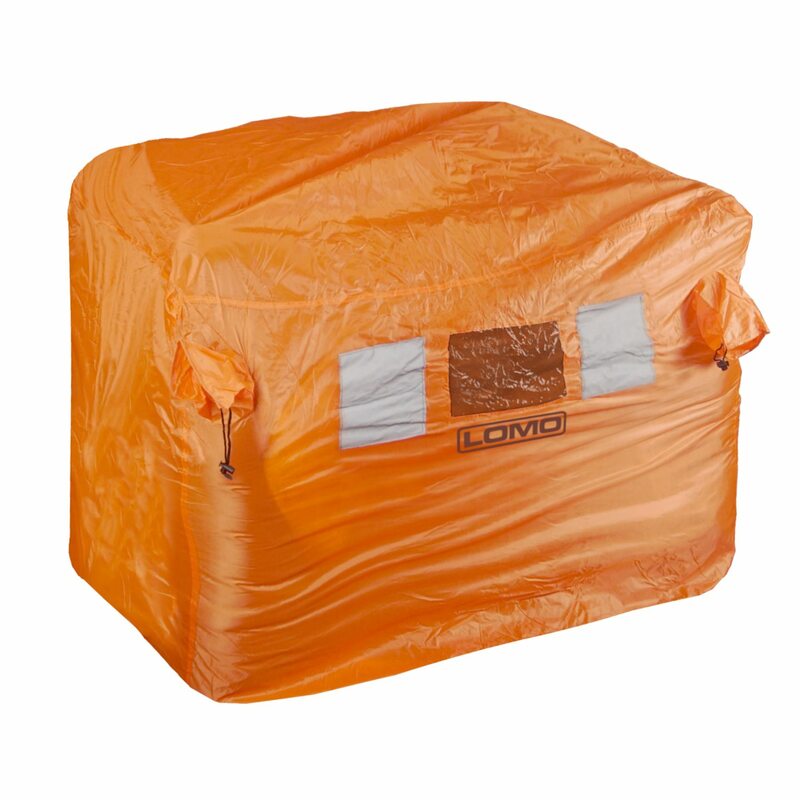 The shelter is made from high visibility orange nylon material and has 2 large retro reflective patches on the front and back to help reflect the torch light from a search party or helicopter searchlight. A viewing window is also included to let the occupants see out whilst keeping sheltered and 2 air-vent snorkels aid ventilation. These can be adjusted or closed in heavy winds and rain. 4 people can sit inside the shelter and have enough room to face each other while still having an area in the middle to eat. The 5th person will need to sit in the middle of the shelter. This type of emergency shelter is commonly used by hill walkers / hill walking groups, when mountain biking or kayaking as well as other outdoor sports. 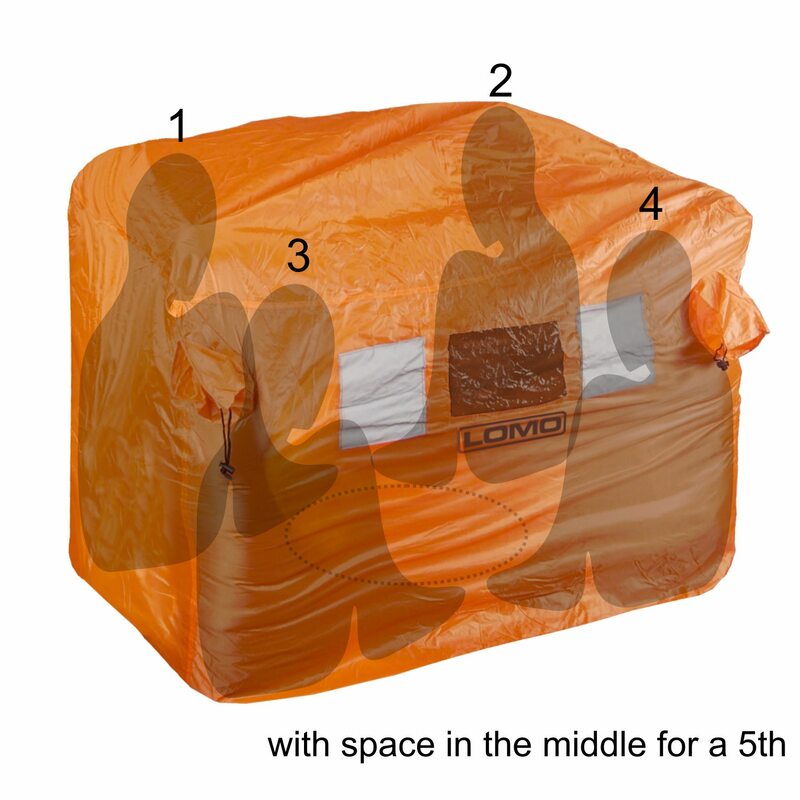 The 4/5 person shelter comes in a handy pouch. 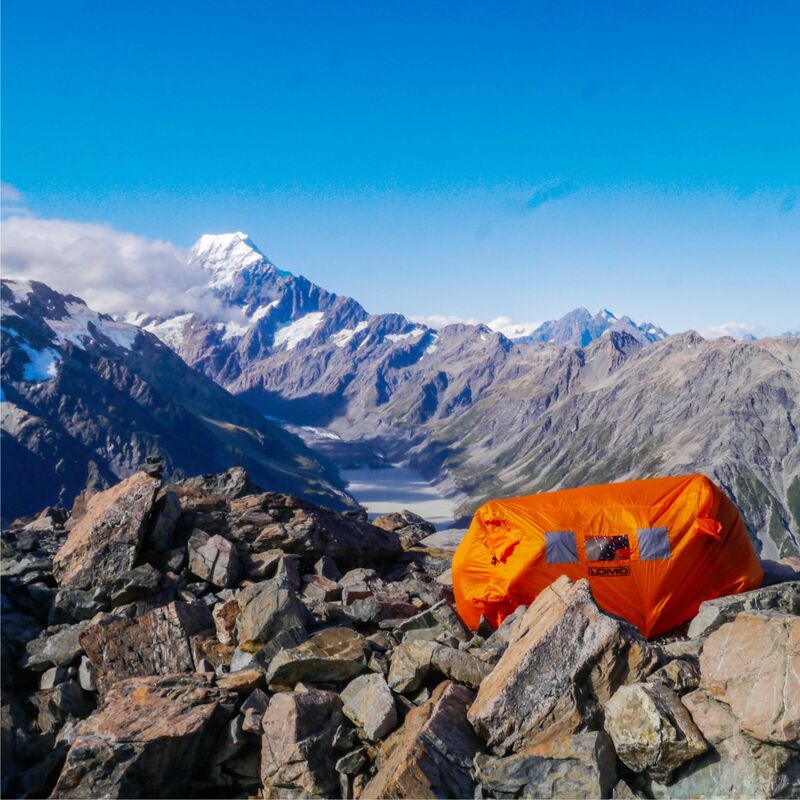 Our 2-3 Person shelter was awarded 'Best Buy' by leading outdoors magazine 'The Great Outdoors' in a comparative test against similar products. This type of shelter is sometimes referred to as a 'Bothy Bag".